Arquitectúria is a non profit association born by the wonders of a group of architects that work in the transformation of public realm. We want to improve people’s quality of life in relationship with healthy, social living, dwelling, environment, and economy. We promote active mobility and urban planning through design and coordination of projects of urban innovation with all community participation including interested citizens. We are open to everyone who wants to push our aims from whatever organisation or group. 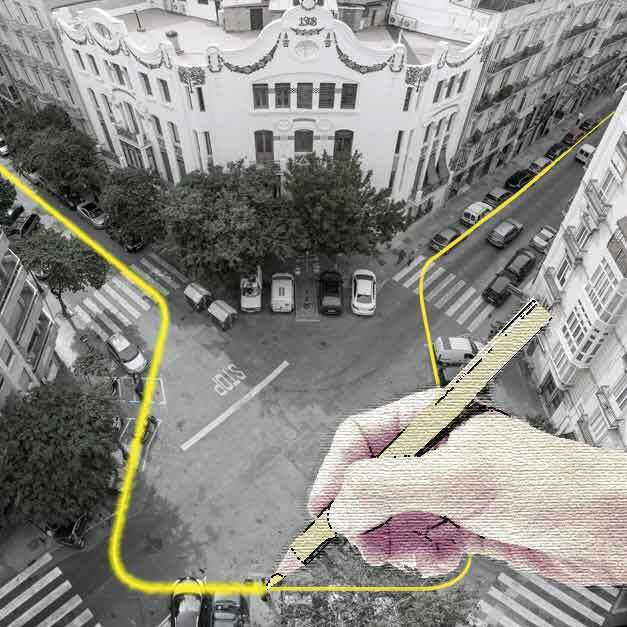 Identify chances, detect problems in order to update street shape. We put in value urban space as frame of relationship and coexistence between people. Make them been protagonist and putting in the main discussion of any action over the territory and city where they belong. We propose strategies o specific plans to promote sustainable and inclusive cities both public space and dwelling, focusing in people who walks and its safety, boosting active mobility, physical exercise, seeking upon the renature of urban environment for its citizens and future generations. We boost actions for settling in the same shared responsibility and work level to technical staff, political, administrators and citizens. Bring to people the right to know and participate in the possibilities of the city. Upgrade innovation from the territory, dialoguing and involving everyone as protagonist in changes of use and remodelling. Arquitectúria. Architecture of the city, from the Turia’s river one.